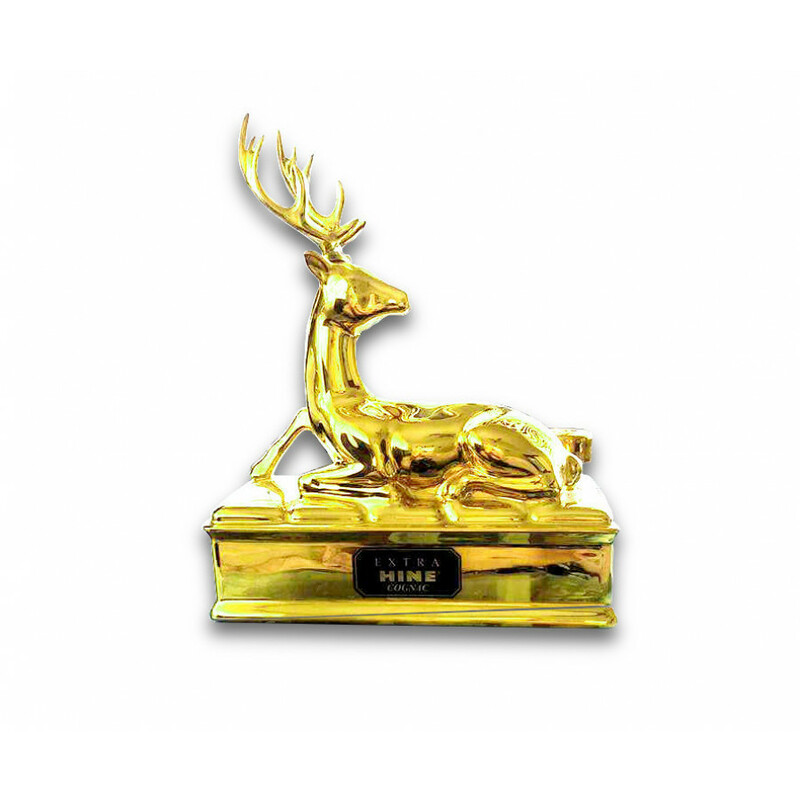 Extra Hine Cognac sculptured from the most delicate French porcelain and entirely hand-gilded with 24 karat gold on a deer bottle. 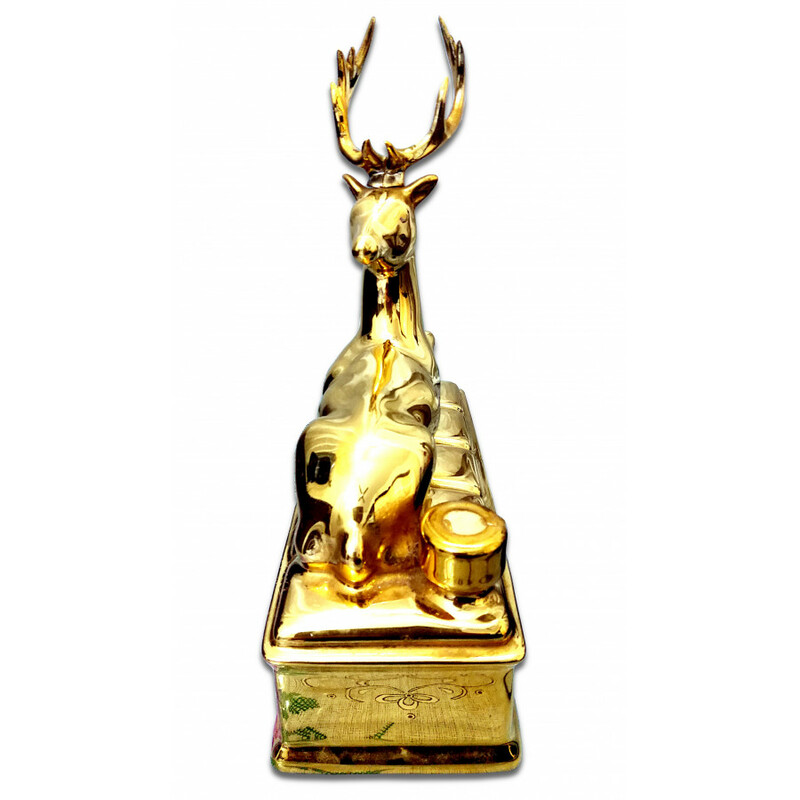 This golden stag is a faithful replica of the famous Hine emblem. The "objet d'art" is numbered in Hine's register and provides its owner with a unique and rare collector's item. Hine Extra Cognac is the ultimate result of the many decades of loving care and maturing. The seller received it as a gift from a friend in 1981. Private Seller from Malaysia/USA. Stored in a dry place, at room temperature, upright standing. All duties paid.